Tesla Motors has been asked by a U.S. Senate Committee to brief it on the circumstances leading to a fatal accident that killed the driver of a Tesla Model S, while the vehicle’s Autopilot driver-assistance software was turned on. The request by the committee on Thursday comes on the same day that Consumer Reports, a product-testing and rating nonprofit, called on Tesla to disable hands-free operation in its cars until it can be made safer. Though advanced active safety technology in vehicles could eventually make roads safer, today "we're deeply concerned that consumers are being sold a pile of promises about unproven technology,” said Laura MacCleery, vice president of consumer policy and mobilization for the organization, in a statement. 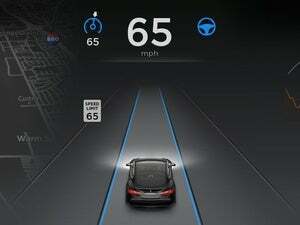 The automaker holds that it disables Autopilot by default and “requires explicit acknowledgement that the system is new technology and still in a public beta phase before it can be enabled,” with warnings to drivers that they should keep their hands on the wheel at all times and be ready to take over. But Consumer Reports said that Tesla’s messages "create potential for driver confusion." 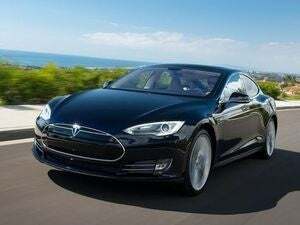 Tesla is already under investigation about the accident by the National Highway Traffic Safety Administration (NHTSA) and reportedly by the Securities and Exchange Commission, for a possible breach of rules relating to disclosures to investors. In a letter to Tesla CEO Elon Musk, Senator John Thune, who is the chairman of the Senate Committee on Commerce, Science and Transportation, has said that he is particularly interested in the company’s efforts to ensure that Autopilot technology “was deployed safely in this instance.” He said he was also interested in knowing about Tesla’s work in the area of educating customers on the use, benefits and limitations of the technology. Thune, a Republican from South Dakota, asked the automaker to brief the committee by July 29. Tesla said end June that it had learned that NHTSA had opened a preliminary evaluation into the performance of Autopilot in the impact of a Model S car with a tractor trailer. The accident reportedly happened on May 7 in Florida, killing the driver Joshua Brown. The impact caused the Model S to pass under the trailer, with the bottom of the trailer impacting the windshield of the Model S.
“Neither Autopilot nor the driver noticed the white side of the tractor trailer against a brightly lit sky, so the brake was not applied,” Tesla said in a blog post. While investigations are still ongoing, questions remain as to whether the technology worked as it was intended to, and the accident and fatality of the driver, a former Navy SEAL, could have been avoided, according to Thune. Tesla could not be immediately reached for comment on Thune’s letter. The accident is the first known fatality in just over 130 million miles where Autopilot was activated, in contrast to a fatality every 94 million miles among all vehicles in the U.S., according to Tesla. On Thursday, Musk tweeted that another crash involving a Tesla in Pennsylvania would not have happened if Autopilot had been turned on. "Onboard vehicle logs show Autopilot was turned off in Pennsylvania crash. Moreover, crash would not have occurred if it was on," Musk wrote.